If you are running Mediavine ads on more than one site you own, here's how to set up multiple payment profiles. Each site MUST have a Payment Profile. 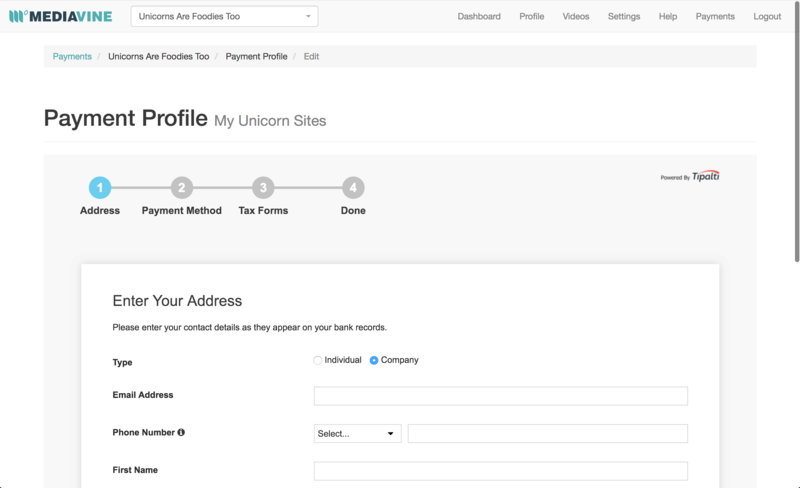 have a mixture of shared and separate Payment Profiles, if you have more than two sites. 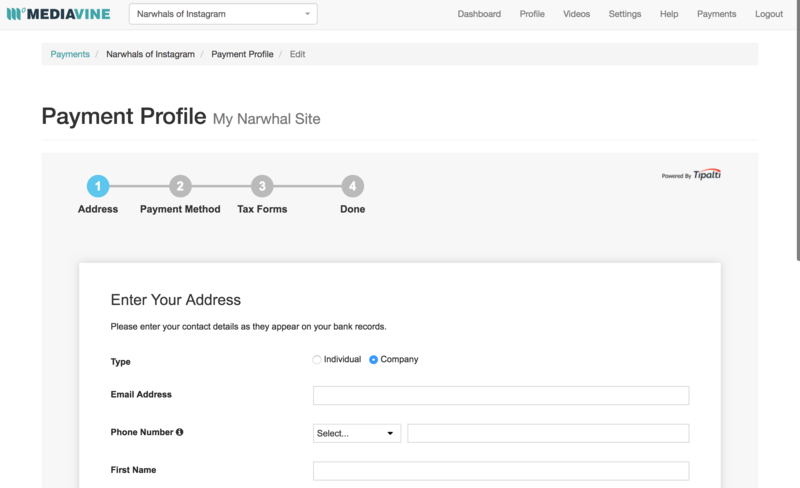 Below, we detail how to set up a separate payment profile for each site you own, as well as how to share/re-use a payment profile for multiple sites. 1. First, navigate to your dashboard and select Payments in the top righthand corner. You'll have the option to start with any of your Mediavine sites. 2. Click the Set up Payment Profile button on the site you'd like to update. For this example, we're using the "Unicorns are Foodies Too" site in the above screenshot. 5. Next you'll be taken to your Payment History where you'll find future payments for this Payment Profile. To get paid for two sites through the same payment method, you will need to use the same Payment Profile. 6. 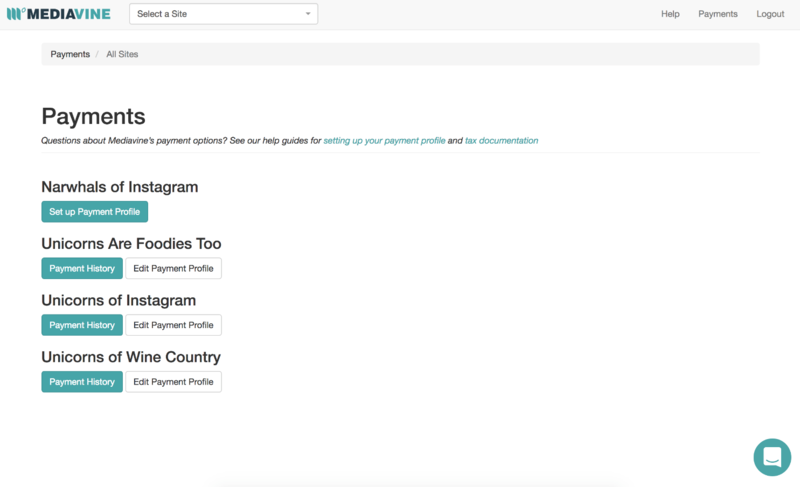 To set up another Payment Profile, click Payments in the top right of your dashboard. 7. Click the site you wish to setup, that will be sharing the same Payment Profile as the first site (whose Payment Profile is already set up). 8. 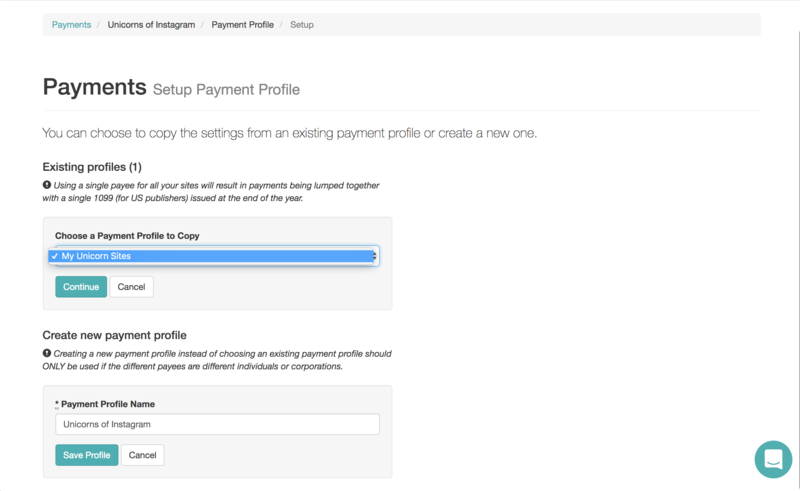 You have the option to choose a Payment Profile you've already set up, or create a new one. Select Existing Payment Profile, and then choose the Payment Profile you wish to use from the dropdown list. 10. 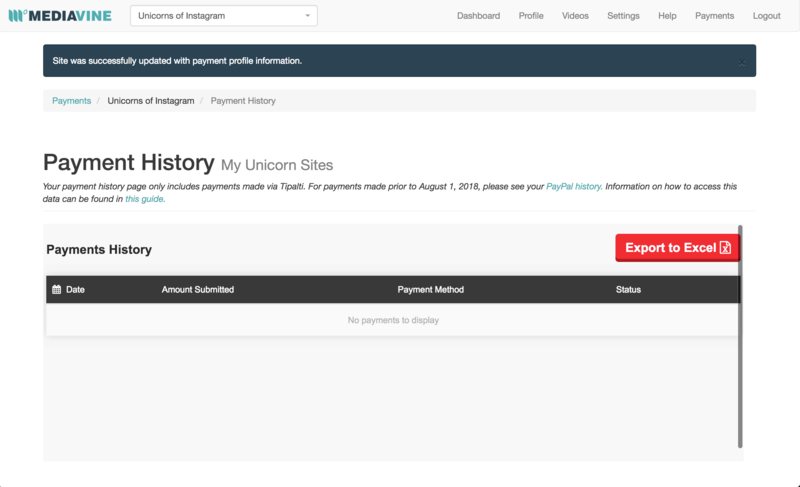 This page shows you the Payment History for all of your sites using this Payment Profile. 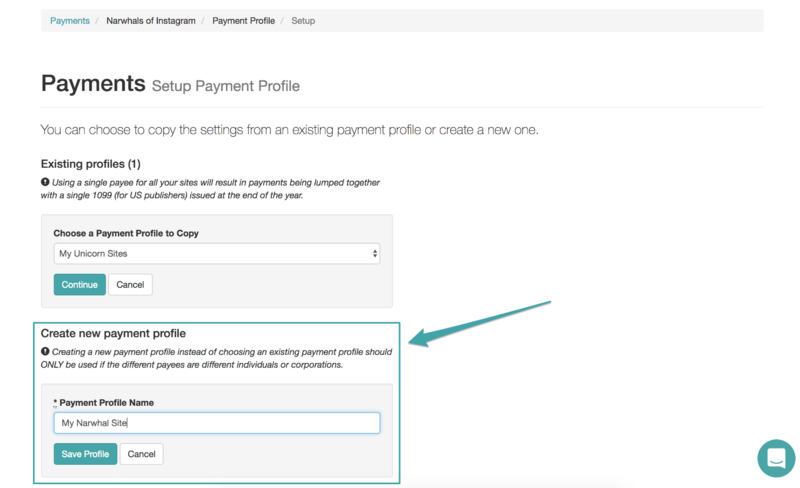 To get paid separately for two or more sites, you will need to create a NEW Payment Profile. 11. 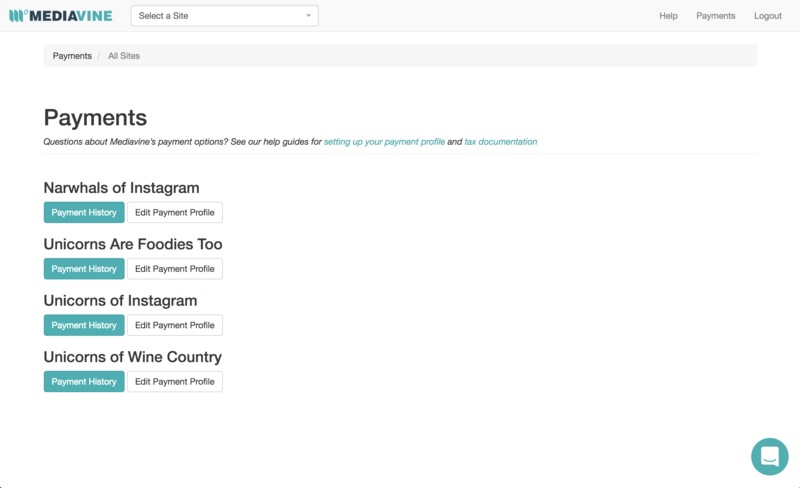 To set up another Payment Profile, click Payments in the top right of your dashboard. 12. 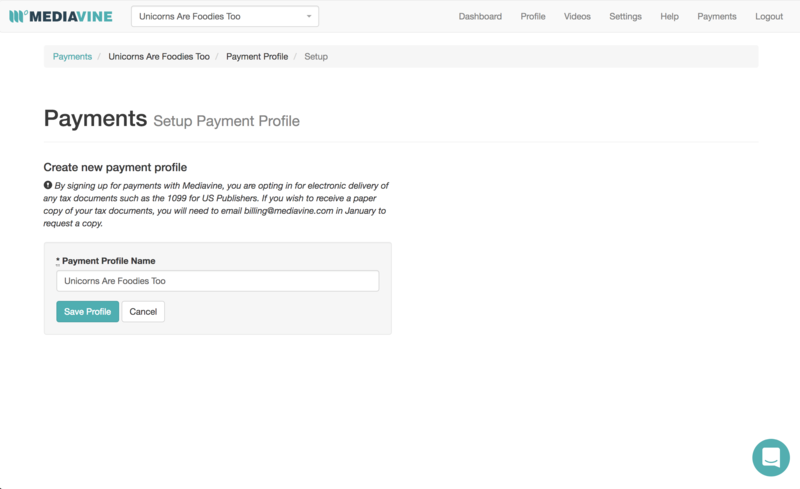 Select a site for which to set up a Payment Profile. 13. 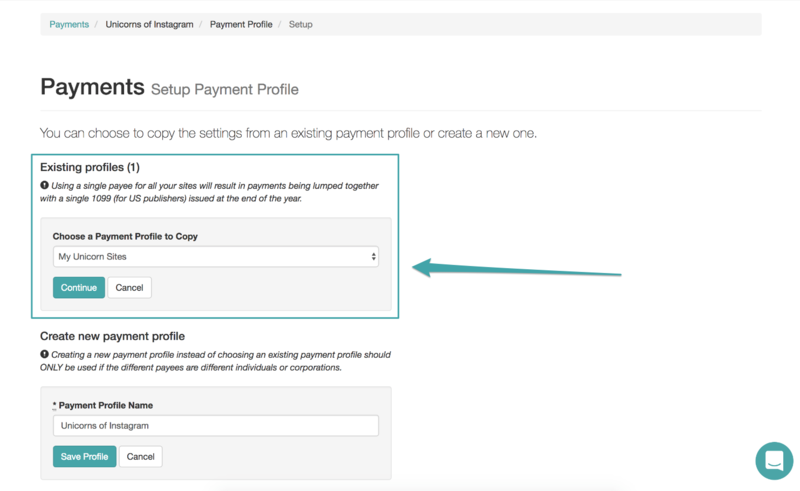 You have the option to choose a Payment Profile you've already set up, or create a new one. 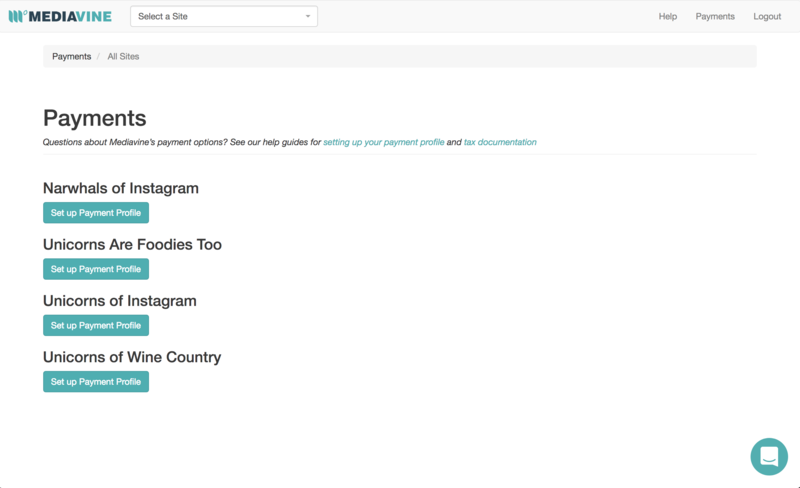 Select Create New Payment Profile, and then choose the Payment Profile you wish to use from the dropdown list. 15. Once you have finished your Payment Profile, you'll see your Payment History for that Payment Profile. 16. After you've completed ALL of your Payment Profiles, click Payments in the top right of your dashboard to see all your sites' payment profiles. And voilà! You're done! Thank you for setting up your Payment Profiles.